With special thanks to David Tenorio ’17 and VP for Student Affairs Jon Jacobsen for their work to develop timelines capturing events related to this issue. Below is an attempt the combine multiple versions into one document. Please note that, where necessary, confidential information has been withheld, and in some cases we have removed the names of students to protect their privacy. To suggest changes or updates, please email communications@hmc.edu. At the request of the 2015-2016 HMC Teaching and Learning Committee, consultants from the Center for Inquiry of Liberal Arts visit HMC with the intent of answering the question, “What can the TLC do, both as faculty themselves and for the larger HMC community, to support a true sense of achievement among students?”. They produce a 18-page report on their findings, “Learning at Mudd: Insight into the Student Academic Experience“, later named “The Wabash Report”. Teaching and Learning Committee (TLC) receives report. TLC shares summary of report (“TLC Report Out”) with FEC & joint meeting to discuss report and next steps (ASHMC president is member of FEC). Decision is made to share full report with FEC. Full report is shared with FEC. FEC plans open forums on Wabash Report with faculty following March 10 faculty meeting. Wabash Report shared with faculty ahead of March 10 meeting. Faculty discussions over lunch. Lots of ideas generated. Expedites Core Review for 2017-18 and bringing in consultants earlier to help plan for the review. Harvey Mudd engineering student Tristan Witte ’18 died as a result of injuries sustained in a car accident. The HMC community creates a memorial website and an on-campus memorial service is planned for the fall. FEC Agenda includes discussion of Wabash Report and possible charge to Curriculum Committee. Process helps solidify plan for External Core Review in 2017-18 Academic Year and plan for interim site visit by external team to guide process. CCD Donnelly holds two informal faculty round table discussions on possible Core Revisions to address workload issues. The Harvey Mudd community learns of the death of the son of a beloved faculty member. Faculty, staff and students are invited to attend the memorial service later in December. Harvey Mudd student Willie Zuniga ’17 passes away from unknown causes. The HMC community creates a memorial website and an on-campus memorial services is planned for March 24. TLC shares draft “Learning at Mudd: Insight into student academic experience” document with FEC for proposed document to share widely with community to move towards action. Continued discussion leads TLC to make further changes to document before sharing more widely. Memorial services for Willie Zuniga ’17 in San Francisco. Harvey Mudd students and DSA staff members travel via bus to the service to grieve and support the family. FEC learns from ASHMC President that The Student Life newspaper has “leaked document” and wants to do story. FEC shared TLC document “Wabash Report Summary—March 7, 2017” with students, staff, and faculty. Explains why did not intend to share Wabash Report due to confidentiality. A student from Scripps College is found dead in her room. Beloved by students across The Claremont Colleges, her death follows closely on the heels of Willie Zuniga’s death and is a shock to the community. TSL published article on Workload at Mudd and includes the Wabash Report: Harvey Mudd Addresses Workload: Leaked Report Advocates Reform. On the same day, the Harvey Mudd community holds a campus memorial celebrating the life of Willie Zuniga ’17. Dean of Faculty Jeff Groves emails an apology to the student body on behalf of himself, President Klawe, and Chair of the Faculty Patrick Little. He mentions the need for greater transparency moving forward and invited the students to an open forum to be held on March 29. An anonymous group of students posts flyers around academic buildings and at President Klawe’s personal residence. Some flyers contain more problematic quotes from the Wabash report, while others follow the format of a mock HMC acceptance letter. Professor and Faculty Executive Committee Chair Patrick Little emails the student body on behalf of the Faculty Executive Committee.  Among other things, he affirms their belief that every Mudder deserves to be at Mudd and rejecting any notion that Mudd has “lowered its standards”. An open forum in the Platt Living Room is held to discuss the Wabash report. 11:30 AM: Students from Black Lives at Mudd (BLAM) organize a rally and walk-out at Mudd, with the aim of “making known the depth of anti-Blackness at Mudd (especially in relation to certain faculty & departments), and amplifying the voices of those who wish to speak candidly on unpleasant faculty interactions”. TSL releases an article, “In Wake of Wabash Report, Mudd Students Demand Immediate Action”, covering the rally and walk-out. Dean of Faculty Jeff Groves emails students, faculty and staff in response to both the forum and the rally, outlining the next steps to come. 2:20 AM: Student leaders release another list of demands concerning a lack of institutional support for the mental health of its students. 12:30 PM: Students organize a sit-in in front of the DSA office, blocking entry to the doors until their demands are met. 3:30 PM: After attempting to address the students twice, President Klawe leaves and calls an emergency President’s Cabinet meeting. 5:25 PM: After an emergency President’s Cabinet meeting, Dean Jacobsen emails the student body on their behalf outlining responses following the meeting. 7:22 PM: Dean Jacobsen sends out a follow-up email promising to advocate for the students’ behalf. 7:39 PM: The protest officially ends. 5:15 PM: The Faculty Executive Committee holds a forum on shared governance, promotion and tenure, and other faculty processes. 7:10 PM: Professor Patrick Little, Chair of the Faculty, announces that as the result of an emergency faculty meeting, the faculty and President Klawe have agreed to the cancellation of classes on Monday and Tuesday, April 17–18, and to commit to significantly reducing workload for students for the rest of the semester. TSL releases an article, “HMC Administration Addresses Student Demands After Sit-In”, covering the sit-in and administrative response. President Klawe sends an email to all current parents informing them about the College’s decision to cancel classes. Although classes are cancelled, faculty invite students and staff to participate in a variety of activities and learning opportunities on campus to relax, reconnect and help heal the community. Inside Higher Ed releases an article about the events at Mudd, “Ground to a Halt”, which includes an phone interview with President Klawe. The same article is republished in Business Insider. President Klawe sends an email to students, with a copy to faculty and staff, updating them on the President’s Cabinet proposal for changes to health, wellness and inclusion for 2017–2018. A dinner is scheduled with students to get their feedback on the proposal. Students also are encouraged to share feedback via email to President Klawe or any member of the President’s Cabinet. President’s Cabinet hosts a dinner with students to discuss the Cabinet Proposal regarding additional health, wellness and inclusion resources. Notes from the student dinner this session are available. The Faculty Executive Committee hosted a forum for students, faculty and staff on issues affecting students from marginalized groups. The College sent emails to alumni and current parents announcing the launch of this website. Dean Jon Jacobsen sends an email to all students asking for additional feedback on the proposal for increased emotional health and wellness support for 2017–18. For additional details following May 2017, please see the Announcements section of this site.